Did you know there are 24,000 different kinds of butterflies worldwide? 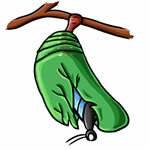 Butterflies range in size from a tiny 1/8 inch to a huge almost 12 inches. 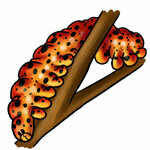 The transformation of the frequently ugly or bizarre caterpillar into an elegant butterfly is truly one of the regularly performed miracles of nature. For an even closer view, you can buy butterfly kits to raise Painted Lady Butterflies from caterpillar to adult, right in your home. 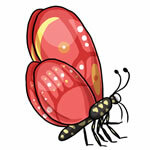 Below we have collected some butterfly pictures, butterfly coloring pages and caterpillar pictures for you to enjoy! You are welcome to use these images for personal use. FREE dragonfly pictures - more than 35 pictures of all sorts of colorful dragonflies! Plus links to MORE dragonfly picture sites! Free wallpaper and free screensavers including butterfly wallpaper, animal wallpaper, nature wallpaper, flower wallpaper as well as butterfly screensavers and free animated butterflies! Great butterfly photos by artist Barbara Bosco, and lovely butterfly prints by talented artist Kathleen Russell. Lovely art with butterflies. 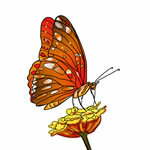 10 FREE Butterfly Coloring Pages for you to print out. Great black and white clipart images large enough to color. Not just Pictures of Butterflies but Real Butterflies! Each of our framed pictures contains a REAL BUTTERFLY, glass front and hanger. Our butterflies are raised in "butterfly farms" which help to preserve valuable rainforest habitat by providing villagers an alternate income other than clearing virgin tropical rainforest. 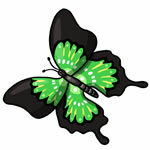 20 FREE animated butterfly graphics to choose from. All different colors and sizes, some with flowers too, lovely! 16 pages of butterfly images. A 'photographic essay' on the relationship between butterflies and flowering ornamental plants. By the Northern Prairie Wildlife Research Center. This comprehensive site includes lists of butterflies by state, and lots of photos. Absolutely wonderful pictures of all stages of a monarch butterfly life cycle. 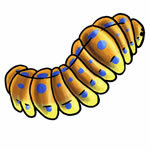 Caterpillars, chrysalis, adults emerging and adult monarchs. Whether you enjoy taking butterfly pictures or just enjoy looking at them, if you are teaching a class or taking a class and need butterfly pictures, if you are a true butterfly enthusiast or a passing butterfly admirer, you can find all of the resources you need right here on the internet quickly and easily. Butterflies are one of the more difficult things in nature to take pictures of, and also some of the most beautiful. These tips are for the amateur photographer who just wants to take some amazing butterfly pictures with a normal, affordable camera. One of the favorite free nature wallpaper downloads is butterfly wallpaper. There are butterfly wallpapers that are as beautiful and colorful as if a real butterfly had landed on your computer screen. Article on where to find them. Some of the scenic wallpapers you can choose from are nature scenes like oceans, amber autumn forests scenes, mountain scenes, and beautiful, unusual cloudy sky scenes. You can also find animal scenic wallpapers like dogs and cats, dolphins, butterflies and birds. Looking for butterfly pictures online is much less limiting than searching through books, and it is so much faster to find what you are looking for, too. Simply open your favorite web browser and type in “butterfly pictures" to see a large variety of species of butterflies, or you can type in a particular species, such as “Monarch butterfly pictures". 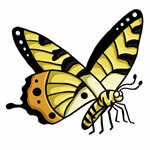 You can also search online for pictures of the butterfly life cycle, or just for caterpillar or cocoon pictures and find almost as many wonderful free photos, images, drawings and clipart of butterflies. The life cycle of a butterfly is an amazing wonder of nature that many school teachers will cover in science and biology classes. Teachers can find all of the butterfly pictures that they need online and copy them to a disc in order to show them to their classrooms. It is legal to borrow and make copies of copyrighted materials for teaching purposes in the United States. Teachers of preschool and kindergarten classes enjoy printing butterfly coloring pages for their classrooms off of the internet, too. Students doing schoolwork will also find it much easier to include butterfly pictures in their reports when they find them on the internet. When students use books to search for butterfly pics they will need to find a place to make copies of the images and then cut them out and paste them onto their report pages. When they find butterfly pictures on the internet, with only a few clicks of the mouse they can copy and paste the actual photos directly into their report, no glue is necessary. Some people just enjoy surfing the web for their favorite things, like butterflies, and enjoy looking at all of the beautiful butterfly pictures that they find. This is a great way to spend your time, just make sure not to make copies of any of the pictures or drawings that you find on the internet without the permission of the owner of the web site. If you do, you could be in violation of copyright laws and could find yourself in trouble. Some web sites will tell you that it is okay to use their pictures for personal use, and if this is the case it is okay to copy them if you are planning to use them as a background for your computer or print them and place them in a frame to hang on your office wall. It is not okay, however, to reproduce these pictures and put them on your own web site, in your own book that will be published, or distribute it in any other public manner without permission. It is best to just enjoy the wonderful butterfly photos that you find and, if you like, keep a personal file of them so that you can look at them any time you want, or just save the web site in your favorites to get back to it more easily. This way you can see all of the new butterfly pictures, drawings, clip art, and images that have been added since your last visit, too. If you enjoy taking butterfly pictures, you can find many web sites that will accept submissions of butterfly photographs that they may include on their site. This is a great way to see your artwork in print. If you took the photograph, you can submit it to as many butterfly picture web sites as you like – the copyright belongs to you unless somebody pays you for exclusive rights to the photo or purchases it from you outright. At that point the copyright belongs to them. If you are a butterfly photographer, it is also a good idea to take a look at other people’s butterfly pictures in order to have some comparisons and to get some ideas for pictures that you want to take. Butterfly photography is one of the more difficult of nature photography because butterflies are small and so delicate, and they rarely stay still and pose for a photograph. Taking good butterfly pictures takes practice and dedication, but it is well worth the work to get the perfect shot. Whether you enjoy taking butterfly pictures or just enjoy looking at them, if you are teaching a class or taking a class and need butterfly pictures, if you are a true butterfly enthusiast or a passing butterfly admirer, you can find all of the resources you need right here on the internet quickly and easily. 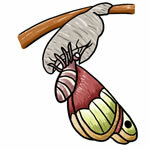 There is no shortage of butterfly information online. All you have to do is look for it. As far as we know these images are public domain. You may download these images for personal use only. Anytime you download from the Net, it is always at your own risk. We advise you take proper "virus scanning" precautions before installation. We are not responsible for any damage caused, directly or indirectly, by the usage or downloading of these items. It is downloaded, installed, and used at the user's risk.